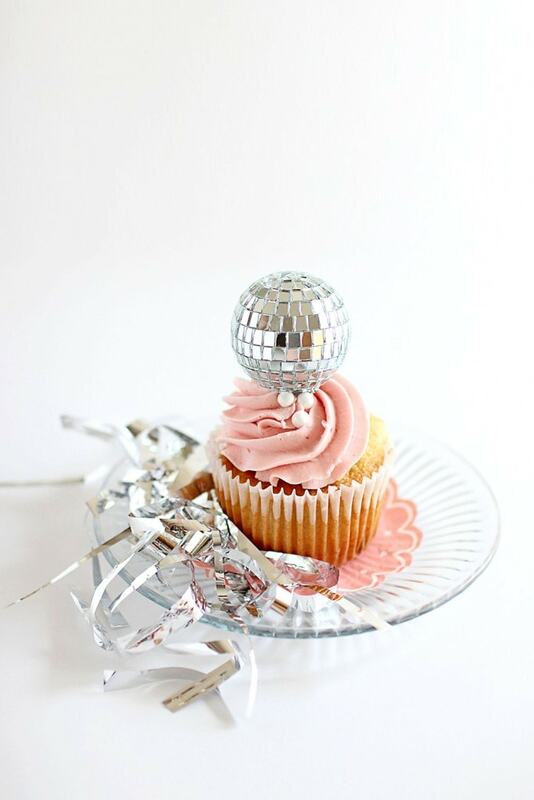 Pink flamingos and disco balls never looked better together! How fun is the theme of this DIY tutorial?! Perfect for accenting a bachelorette party or fun birthday bash, these two projects can be used together or solo to add just the right amount of pizzazz! 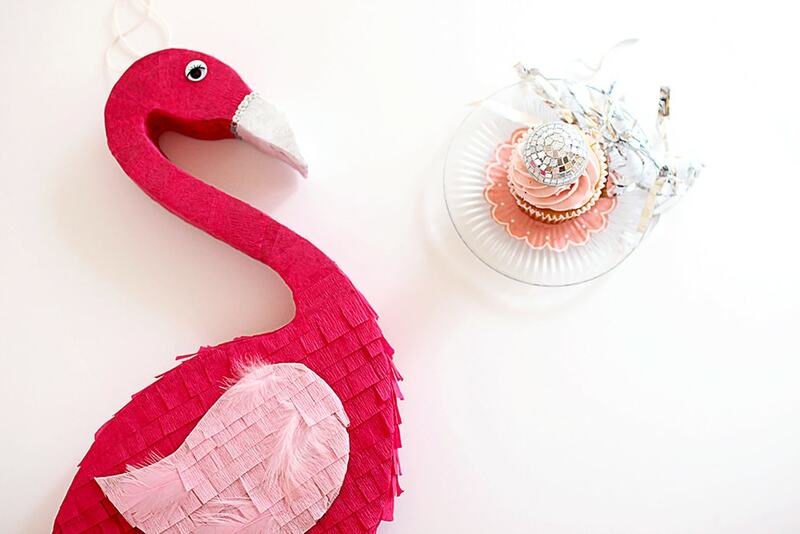 Here to help us create this cheerful piñata and glitzy cake stand is Jené Sigl of Wear the Canvas. We can’t wait to see how you use this decor for your next bash! 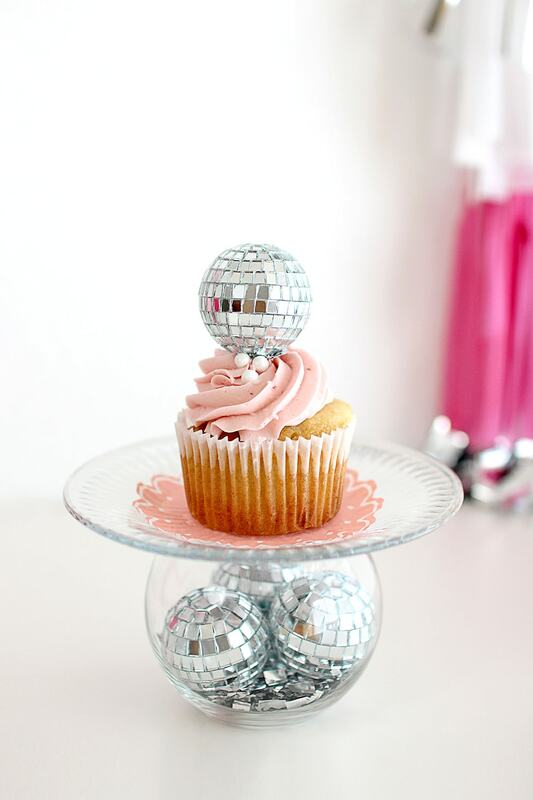 “You can never go wrong decorating with flamingos and disco balls. In my opinion, these are two symbols that will never go out of style. Anytime you can incorporate them both into one theme, I say do it! 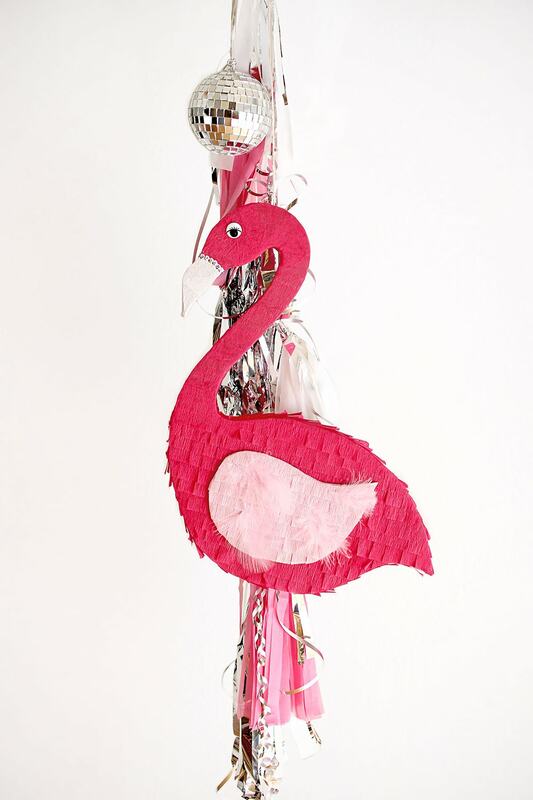 This flamingo piñata is not just for parties. The added embellishments make it perfectly chic to hang in your home as decor. I mean, who would not want a flamingo piñata to dress up their living space? Draw and cut out your cardboard pieces. You will need 6 pieces total – two flamingo shapes, two wings, and two long strips for the sides. The side strips should equal the perimeter of your flamingo in length, and be as wide as you would like. Bend each cardboard strip a bit to give it some curve and flexibility. 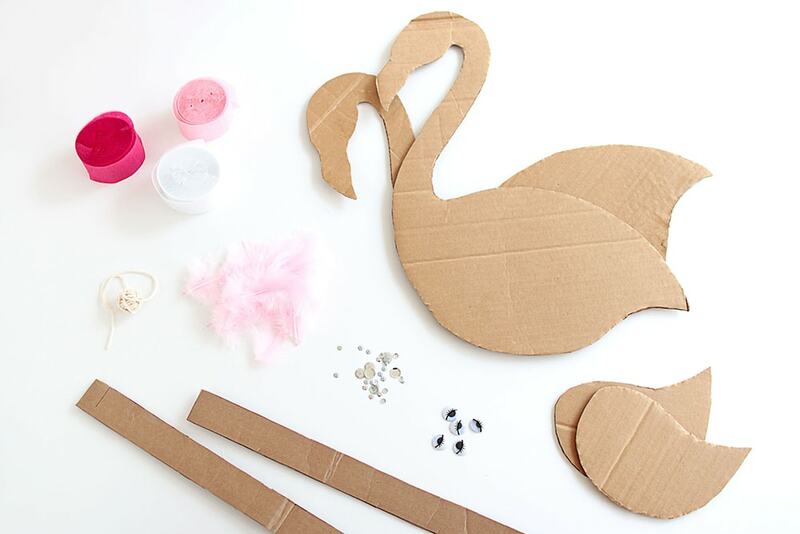 Starting at the tip of the tale, use dots of hot glue to attach the strips to the edge of your first flamingo piece. Once one side of the piñata is secure, poke a hole on the top of your piñata, and add the string for hanging. Then, seal it up by hot gluing the other flamingo piece down to the strip’s edge. Now it is time to decorate! Create fringe from your crepe paper streamers, and start to add it in rows from the bottom to the top. I applied the fringe using a glue stick, and trimmed away the excess crepe paper to expose the flamingo shape. Once the front and back are finished, you continue adding fringe to the sides in the same manner. To achieve a smooth finish to the neck and head, cut small strips of crepe paper, cover the entire back of the strip with glue, and then smooth it around the piñata like you would with paper mache. Adding more glue can help smooth out any bumps. Keep layering the strips of crepe paper until you like the opacity. Add fringe to your wing pieces the same way you did with the body, and then hot glue one wing to each side. If you like, you can add googly eyes, feathers, sequins, ribbons, and much more! Now let’s get glam with some mini disco balls! 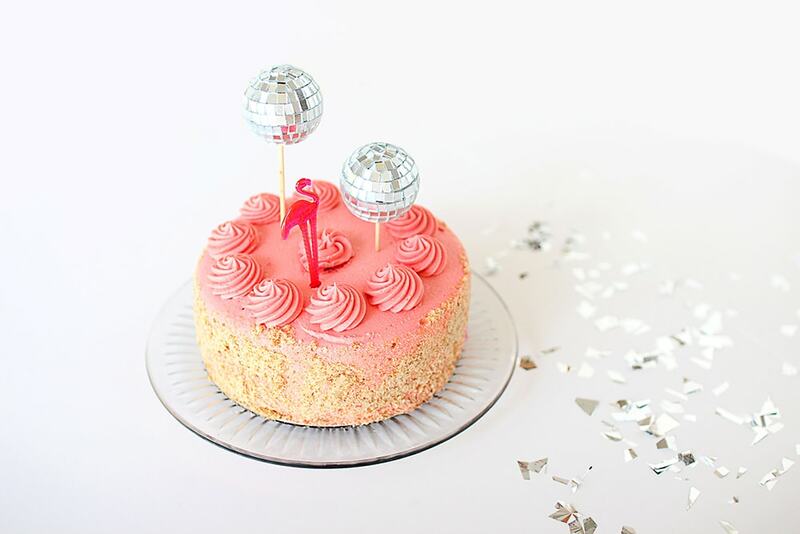 These sparkly cake stands and matching cake toppers are a great way to dress up a simple cake or liven up a dessert table. Plus, they are incredibly easy to make! Create confetti by chopping up your foil tissue paper into small pieces. Fill your vase with some of the confetti to create a bed for the disco balls to sit on. 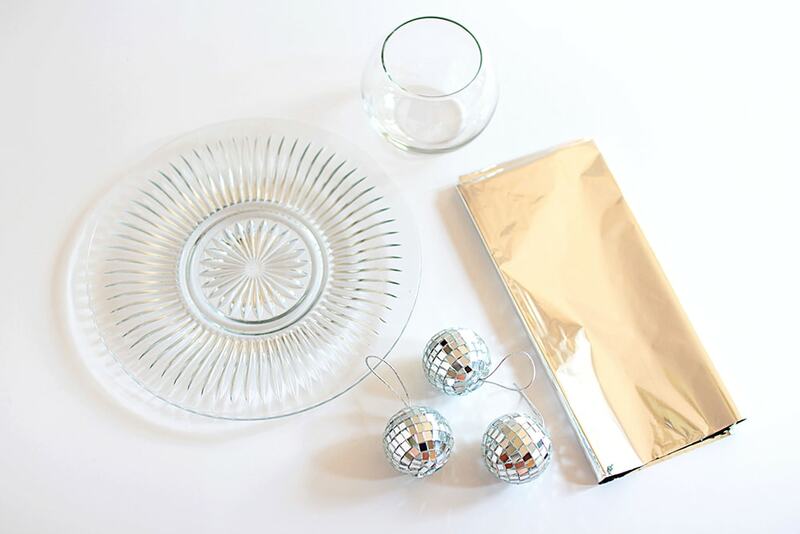 Remove the strings from your disco balls and then place them into your vase. Position them to your liking, then lightly glue the inside edges where each disco ball touches one another. Glue the glass plate to the top of the vase, and allow it to dry for 24 hours.